A standing-room-only crowd in Pacifica turned to U.S. Rep. Jackie Speier for guidance on how to challenge President Donald Trump's agenda. Speier held a town hall in the Peninsula city to listen to the concerns of her constituents and try to provide answers. "We all have issues," one resident said. "We're getting overwelmed. We're saying, 'What can we do?' We're all frustrated." Another attendee expressed concerns about gag orders being placed on federal agencies. Speier even expressed concerns of her own. "We could have potential to be at war in six months," she said. 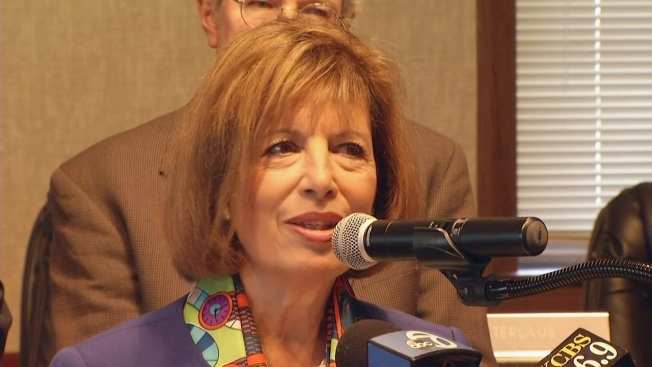 Speier urged those with concerns to make phone calls and send letters to Washington, D.C. She said Trump and fellow lawmakers respond to numbers. Caitlin King told the congresswoman to fight for the Affordable Care Act and her son. "This is a matter of life and death for me," King said. "He was in the hospital for four nights, and because of those bills, we could have gone into bankruptcy. But we had Obamacare; it saved my family." King and many others worry Trump is about take that safety net away. "He got asthma; that's a pre-existing condition," King said, explaining he son's plight. "If I lose health care, he could be booted off. He's 3. It's shameful anyone would take his insurance." Meanwhile, Speier said one of the moves made by the Trump administration was shutting down the White House switchboard. She plans to fight to have it reopened.